Less than 24 hours after Attorney General Jeff Sessions' dismissal, the race to fill his post atop the Justice Department is heating up. The growing list of candidates to become the next attorney general spans a broad spectrum of legal minds close to President Donald Trump and his administration and includes trusted advisers, political allies and vocal critics of special counsel Robert Mueller's ongoing investigation of Russian interference in the 2016 election. According to multiple sources familiar with Trump's thinking, the list is currently comprised of at least seven potential nominees: former U.S. attorney general William Barr, Florida attorney general Pam Bondi, former New Jersey Gov. Chris Christie, former New York City Mayor Rudy Giuliani, Republican Sen. Lindsey Graham, Republican Congressman John Ratcliffe and acting U.S. Attorney General Matthew Whitaker. Sources emphasized that the list is fluid, and that Trump is in no rush to name a permanent successor. The next attorney general will inherit supervision over the Mueller probe, which President Trump and his allies have often referred to as a "witch hunt." Giuliani, Trump's personal attorney, is perhaps the most visible of the seven candidates. A longtime friend of Trump, Giuliani served as one of his closest aides on the campaign trail before joining his legal team in April, and since then he has made frequent cable news appearances as he represents the president amid ongoing discussions with the Mueller team. Graham, who recently emerged as one of the president's fiercest defenders and is expected to take over as the chairman of the Senate Judiciary Committee, has been rumored to be auditioning for the post for months, perhaps inspiring in part his vigorous defense of the president's Supreme Court nominee Brett Kavanaugh in September. 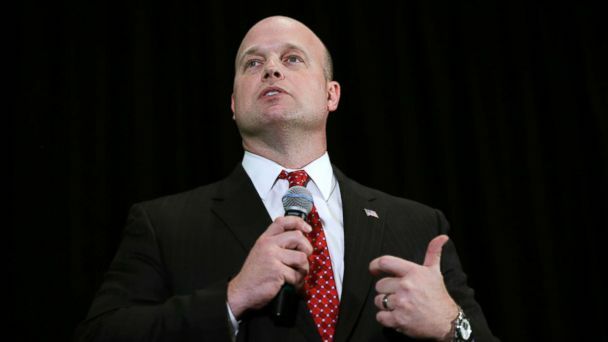 Whitaker, Sessions' former chief of staff at the Department of Justice, has been tapped by Trump tapped to fill Sessions' shoes on an interim basis, but sources said he is also a contender for the permanent job. He has already come under intense scrutiny, however, for his past statements criticizing Mueller's Russia investigation. Christie, who is now an ABC News contributor, was first a primary rival and then an early supporter of the Trump campaign and the initial leader of Trump's presidential transition team. Christie met with Trump and his advisers at the White House on Thursday, sources said, where he had a previously-scheduled meeting on prison reform with Trump's son-in-law and senior adviser Jared Kushner.